Healthy, beautiful teeth contribute to your well-being, give a polished look and boost your self-confidence. Dental decay and periodontitis are caused primarily by bacterial tooth decay (plaque). If you take prevention and prophylaxis seriously, you can largely avoid these illnesses and save yourself painful and expensive treatment! 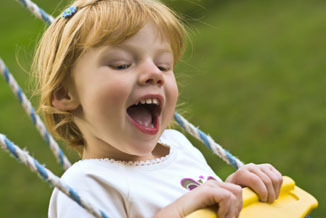 Even with intensive daily dental care deposits in between teeth and difficult to access gaps cannot be entirely removed. 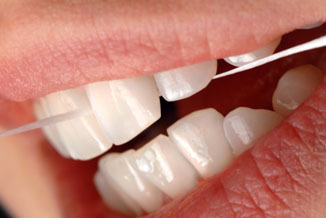 We offer professional dental hygiene in our practice, which goes far beyond brushing your teeth. Your teeth are freed of all hard and soft deposits using special instruments. Plaque, tartar and staining caused by coffee, tea or cigarettes disappear almost completely and your teeth become visibly cleaner and brighter. Afterwards the tooth surfaces are polished, because a smooth surface can be maintained a lot easier. Bacteria causing dental decay and periodontitis are barely given another chance to establish themselves. A fluoride based lacquer offers the teeth additional protection against bacterial acid attacks. 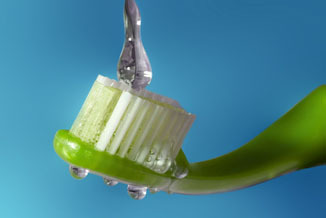 Finally we show you what you should change in your everyday tooth care regime and which toothpaste you should use. Scientific investigations have shown that professional dental hygiene every six months is an ideal supplement to everyday brushing to keep teeth and gums healthy. Depending upon an individuals condition we sometimes advise an even shorter time interval. ... professional dental hygiene also makes sense for children starting at age six! Air-Flow® treatment is an effective solution for removing stubborn tooth deposits. A mix of air and sodium bicarbonate, as well as a water jet remove deposits and stains. The correct application and the subsequent polishing of the teeth are important to achieve long-lasting success.